Paco Díaz (Palma de Mallorca, Spain) on 7 February 2009 in Plant & Nature. A lovely image and a beautiful composition! Very well done! 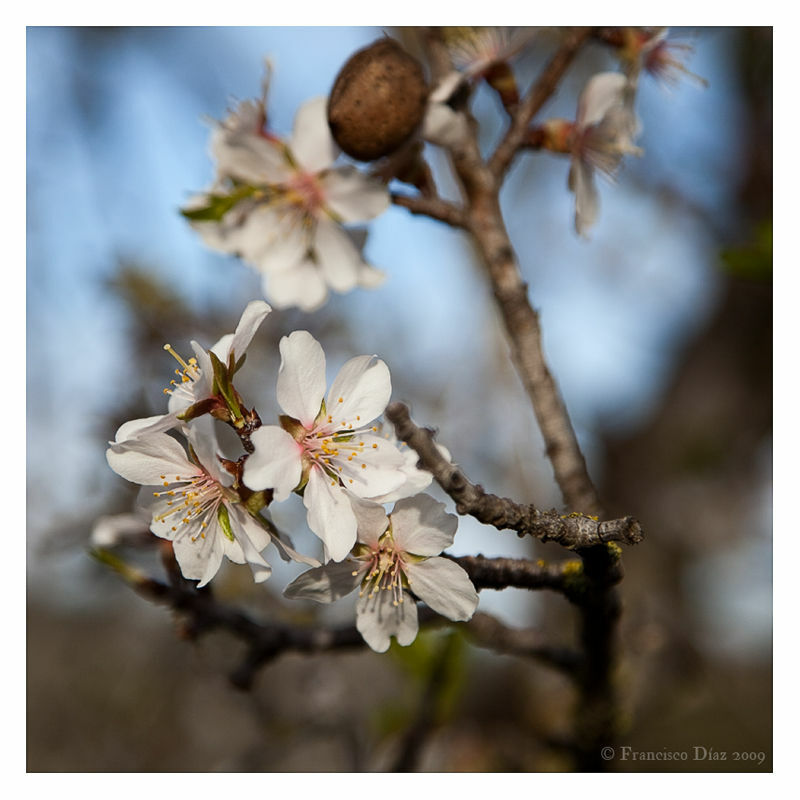 Are these the beautiful almond flowers? They are so delicate. You've captured lots of wonderful detail in this amazing image. A Magnificent breath of fresh air...wow bravo! ¿Ya?, porque con este invierno pensaba que tardaran más... Bueba selección de enfoque. Spring is already there. Beautiful. Beautiful flowers, great close up. Te ha quedado una luz preciosa, y eso que era terrible. 'Tis a proven system !